Lady Liberty stands 27" tall. 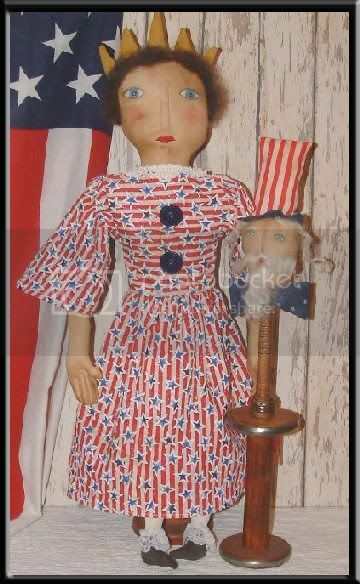 She is dressed in a colorful patriotric print dress. Instructions are also included to make her very special Uncle Sam Torch.